Tensions between Israel and Hamas are surging again, following a string of attacks from Gaza and Israeli retaliation airstrikes. The reason for the deteriorating is ultimately simple: Hamas is struggling to manage Gaza economically, it refuses to divert funds from its military wing to civilian needs, and the Strip’s infrastructure is eroding at an alarming rate. All of these factors add up to a potential implosion in Gaza, which could mean that the Islamist regime will find itself facing an internal revolt. To avoid this fate, Hamas is doing what it has tried to do for an entire year: escalate the security situation, and ratchet up the pressure on Israel and other regional actors, though stop short of triggering a war. This high-stakes brinkmanship—based on using violence to try and force Israel to ease security restrictions on Gaza, increase the import of goods and get the international community to find donors who can rescue Gaza from economic doom—is a calculated approach by Hamas leader Yihye Sinwar. It appears as if the Qatari cash injections have not been sufficient to push Gaza away from the brink of instability. The economic chokehold that the Palestinian Authority has tried to place on Gaza, as part of its own internal war with Hamas, has contributed to tensions in the past year as well. 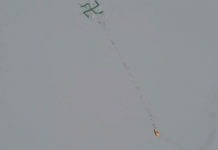 “A short while ago, shots were fired at an IDF position near the northern Gaza Strip security fence. No IDF injuries were reported. In response, an IDF tank targeted a Hamas military post in the northern Gaza Strip,” the Israel Defense Forces Spokesman Unit announced on Thursday. 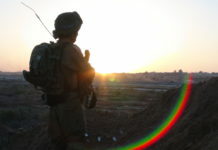 On Wednesday night, Gazan terrorists fired a rocket at the Eshkol region, triggering a siren, sending residents fleeing for cover and causing an Iron Dome missile-defense system to fire an interceptor. Previously that day, Hamas-organized operatives sent balloons carrying explosives over the border into southern Israel, jeopardizing the safety of local residents. In response, the Israeli Air Force launched strikes on several targets inside a Hamas compound in southern Gaza overnight between Wednesday and Thursday. The IDF did not specify what those targets were, but it’s safe to assume that they were high-value Hamas assets, and that the strikes were designed to tell its leadership that it only stands to lose if this situation continues. 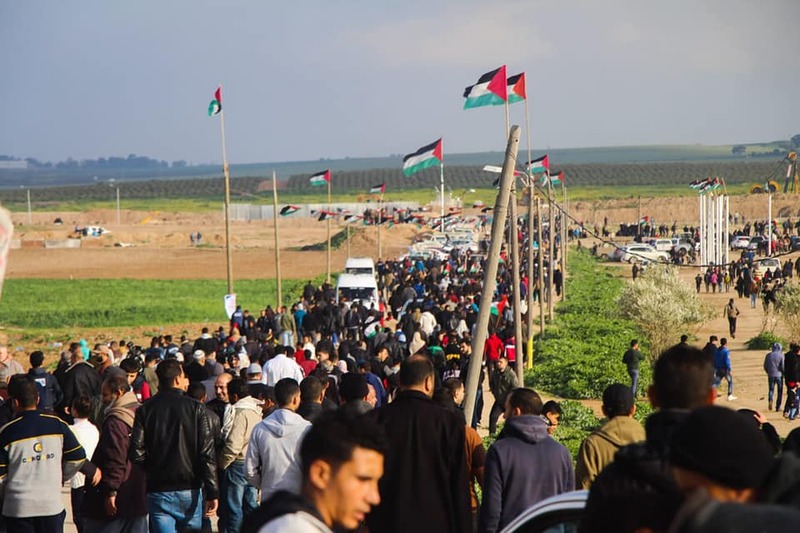 While on Friday, a rocket was fired from the Gaza Strip towards Israel after thousands of Palestinians took part in another round of violent protests along the border. 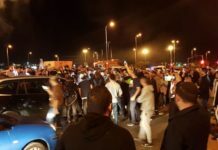 Amid the protests, two men were arrested by the IDF after crossing into Israel from the northern part of the Gaza Strip. The IDF has, in fact, been stepping up its responses to attacks from Gaza. 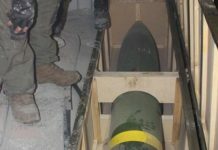 In recent weeks, airstrikes on Hamas positions have become a new norm in retaliation to explosive devices sent over the Israeli border attached to balloons, and to the explosives that terrorist operatives set off along the border every night. 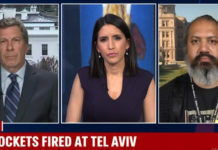 The problem is that Hamas’s leadership is prepared to take the risk of continuing this escalation, even though it doesn’t seek a full-scale war. 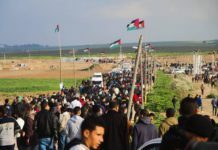 Hamas has assessed that any further delay in getting outside actors to step in and stabilize Gaza’s economy will threaten the future of its regime as least as much as a war with Israel would. Hence, it is signaling to Israel and to Egypt (which is playing a key role as an intermediary), as well as to the international community that its demands must either met or the attacks will continue, come what may. For Israeli Prime Minister Netanyahu, who is in the midst of a contentious election campaign, the timing of Hamas’s latest challenge is difficult. If he is seen to “give in” to its demands, it will damage his campaign, and the prime minister is already facing domestic criticism for facilitating Qatari aid money into Gaza. Hamas may have decided to try and gamble by increasing the pressure during elections, based on the assumption that Netanyahu will be reluctant to get into a major conflict in Gaza at this time. For his part, Netanyahu is seeking to convince Hamas that this assumption is a dangerous illusion. The coming days and weeks will be explosive and decisive for the Gazan arena. Assuming conflict does not break out before the elections, whoever is in government in Israel post-elections will likely end up with one of two difficult choices: seeking a long-term truce in Gaza by stabilizing its economy—an option that will bring quiet, but also strengthen Hamas—or decimating Hamas’s military wing in a new conflict. In the meantime, Israel’s defense establishment is also keeping a cautious eye on the West Bank arena, which has managed to stay relatively calm so far and has not reflected Gaza’s instability. Bu Hamas is doing its best to change that. The Gaza-based Al-Aqsa satellite TV, run by Hamas, is one of the ways that Gaza has tried to export terrorism to the West Bank. Hamas even used the channel to send coded messages to terror cells in the West Bank last year, leading the IDF to bomb its studios in November. This week, Israel designated the channel as a terrorist organization. 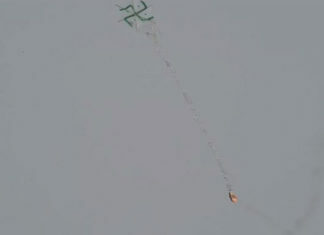 Even so, that won’t stop Hamas in Gaza from systematically trying to set fire to the West Bank.